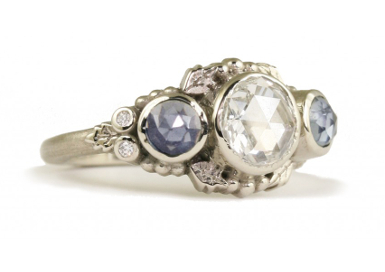 18kt white gold three stone bezel set sapphire and diamond ring. Also available in all diamonds. Total weight from 1.00ct to 1.50ct.